TALLAHASSEE, Fla. (WTXL) — High-speed internet it's something many of us use daily while others don't even have access to it. 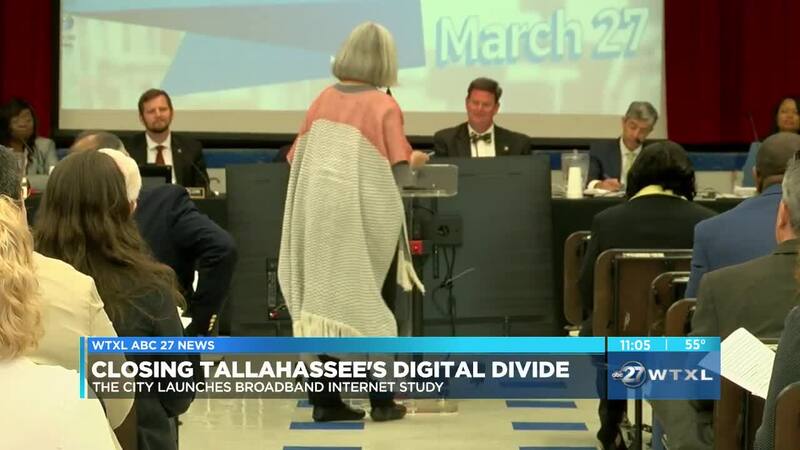 On Wednesday evening, Tallahassee city leaders voted to approve a study that looks into expanding broadband internet for the community. City commissioners want to fill the digital gap in the Capital City. "There are individuals that live in the City of Tallahassee boundaries that cannot get Xfinity, they cannot get CenturyLink. There are communities who are currently not being served by broadband," said Joe Kalicki. 2018 data from the U.S. Census Bureau shows around 20% of Tallahassee residents fall under that category. The topic of building a fiber optic utility center in Tallahassee was bounced around for almost two hours before commissioners unanimously decided to move forward with an in-depth study. "Engage our universities, engage our staff at the city and inform, not just us, but the community. Doing fiber optics and advancing our technology is critical to the future of our city," said Commissioner Elaine Bryant. The city plans to partner with universities to look at Tallahassee's landscape as an option for fiber optic broadband. The study will break down strengths and weaknesses in the city's existing technology an overview of where the needs are and how much service will cost users once infrastructure is up and running. "It's an essential part of our lives. I mean, it's a precondition to participating meaningfully in civic life, in educational and employment opportunities. And so I hope that we will take seriously how important that is to our communities," said Jacqueline Porter. The city plans to get this study underway immediately. However, they say the process will be lengthy and take around six months to get a good picture of the landscape and overall cost for the city.